Full-size luxury sedans offer an array of standard and available technology features as well as a variety of styles and powertrains. Whether your priority is modern technology, comfort or performance, we have a great selection of full-size luxury sedans at Blue Grass Motorsport. The 2018 Audi A8 L has an impeccable design, unrivaled accommodations and a commanding presence. It holds many sides of beauty. On the outside, the sculptural horizontal bars in a chrome finish and the Singleframe® grille make a powerful statement. Inside, the cabin displays elegance thanks to its rich wood inlays and leather surfaces. No matter what kind of power you’re seeking, you’ll find it in the A8 L. Three powerful engines choices include a supercharged 333-hp TFSI® V6, a turbocharged 450-hp V8, and an awe-inspiring turbocharged 605-hp V8 (S8). There’s no shortage of premium technology features either. MMI® Navigation Plus, Parking System Plus, Head-up Display and BOSE® Surround Sound System all come standard. 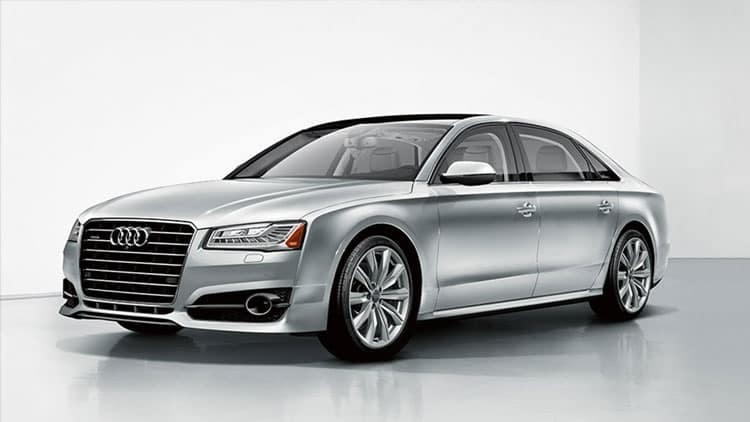 With the combination of elegant design, dynamic power and premium technology, the Audi A8 is setting the standard on what a full-size luxury sedan should be. 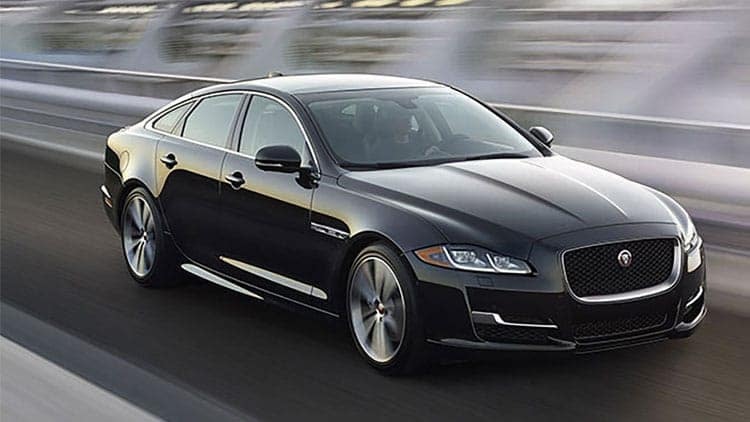 Assertive styling, outstanding performance and advanced technology make the Jaguar XJ the pinnacle of the Jaguar sports sedans. The low, wide stance and flowing shape is why it’s Jaguar’s best-looking sedan ever. When it comes to powertrains, there are three to choose from — 3.0-liter supercharged V6 with 340-hp, a 5.0-liter supercharged V8 with 470-hp and an unbelievable 5.0-liter supercharged V8 with 550-hp. The XJ is equipped with modern technology to make driving easier and more convenient. These features include InControl Touch Pro with Connected Navigation and in-car Wi-Fi, InControl Remote, Meridian™ Sound System and 12.3-inch high-definition Virtual Instrument Display. Advanced driver assistance features include SOS Emergency Call, Blind Spot Monitoring, 360° Parking Aid and Traffic Sign Recognition — providing you with extra confidence and allowing you to focus on the pleasure of driving. The Maserati Quattroporte, a Ferrari-powered sport sedan with the exhaust note to prove it, has a bold, distinctive design and is equipped with accommodating technology. 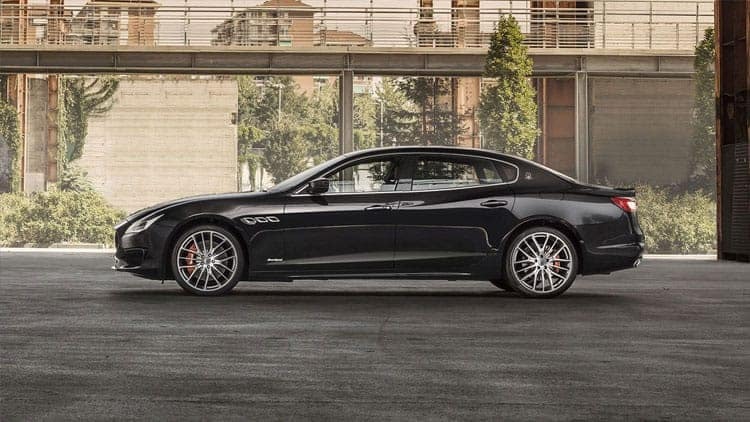 Three trims are available — Quattroporte S and Quattroporte S Q4 which both come in a twin-turbo 3.0-liter V6 with 424-hp, and the high-power Quattroporte GTS that comes in a 3.8-liter twin-turbocharged V8 with 523-hp. The refined cabin includes a blend of leather, wood chrome and the optional carbon-fiber accents. The center console features a MTC 8.4-inch touchscreen, the latest infotainment system with central control knob, Apple CarPlay®, Android Auto and available Bowers & Wilkins Premium Sound. The best high-performance luxury sedans are backed by safety technology features. The Quattroporte is equipped with adaptive cruise control, blind spot alert, rear cross-path detection, lane departure and forward-collision warning systems. Unbeatable power, bold design and premium technology, easily makes the Maserati Quattroporte a car of the future. The Panamera Sport Turismo is the perfect balance between career, family, leisure and driving pleasure. For you racing enthusiasts out there, you’ll receive maximum performance from the V6 Turbo, V6 biturbo or V8 biturbo engines. The Sport Turismo is every bit powerful as it is versatile. With up to 49 cubic feet of cargo space, you can fit sports equipment, luggage or shopping bags. The standard 4+1 seat concept allows a fifth friend or family member to enjoy driving in the Sport Turismo as well. The cockpit and cabin are designed with the driver and passenger in mind. This includes a Porsche Advanced Cockpit with glass-look center console and touch-sensitive buttons as well as a high-resolution 12-inch touchscreen. The passengers in the second row get to enjoy a fully integrated and networked infotainment system on two separate 10-inch touchscreens. 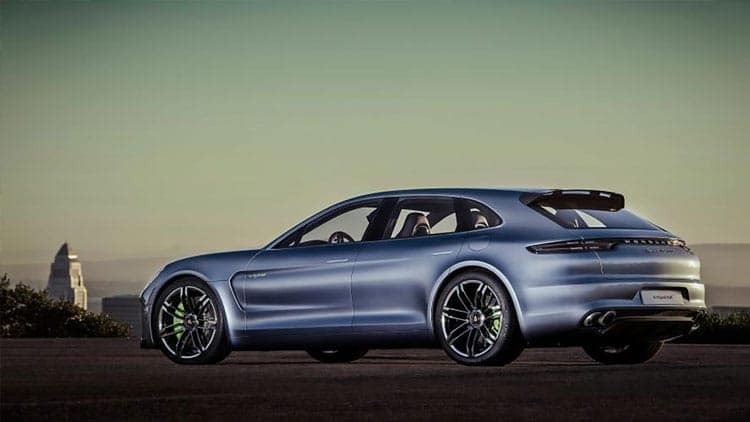 Porsche enthusiasts would be proud to own the Panamera Sport Turismo.